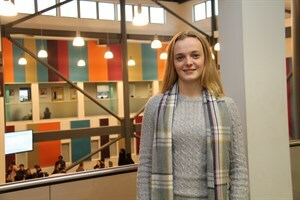 Sinead Clark, 16, who studies at Seevic College, Benfleet, has been selected to represent Essex for the fifth year in a row. The young athlete who has been running for Benfleet Running Club since the age of eight has an exciting year ahead of her in both Cross-Country and Triathlon. The Sport and Exercise Science student will compete in the English Schools National Cross Country Championship, and the National Intercounties Cross-Country Championships representing Essex as well as representing the East Region in the AoC Sport National Finals. In order to be selected for the English Schools National Cross Country Championships Sinead had to compete with around 100 girls from across Essex. She had to be placed in the top 12 to be selected for the senior girls group. The event will be held in March where she will compete as part of the Essex County against the other 45 Counties in England for the honour of being the best in the country. Sinead added: “Since I have been at Seevic I have developed general skills which are helping me to develop as an athlete. “It makes me feel proud that I have got into these competitions and all the hard work is starting to pay off. Seevic College is the best sporting college in Essex and gives students a unique experience of supporting students through both their studies and sport.